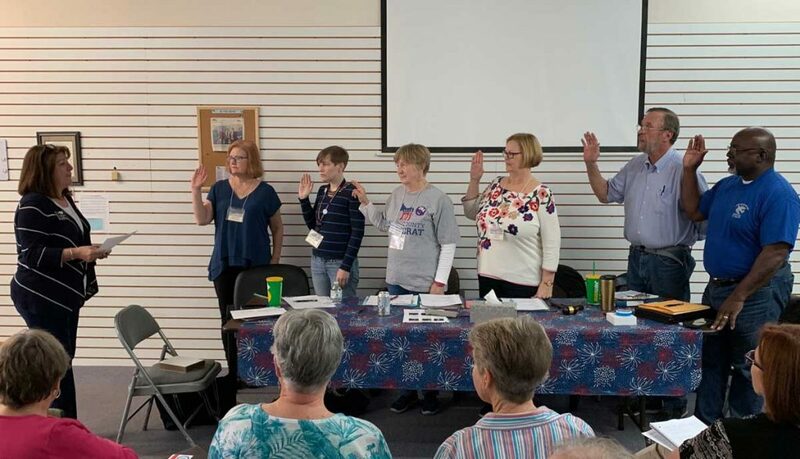 At our County Convention last weekend, we elected new county officers who will serve from 2019-2021. 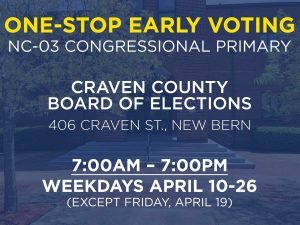 We’re excited about these new officers and the new vision they’ll bring to organizing the Democratic Party in Craven County and turning our county blue! Please join us in congratulating them and offering our full support! At our county meeting on Monday, March 25, our new county officers were sworn in by Terri Sharp, Craven County Clerk of Superior Court.